Radon is an invisible and odorless radioactive, cancer-causing gas that occurs naturally from decaying uranium underneath the earth’s surface. 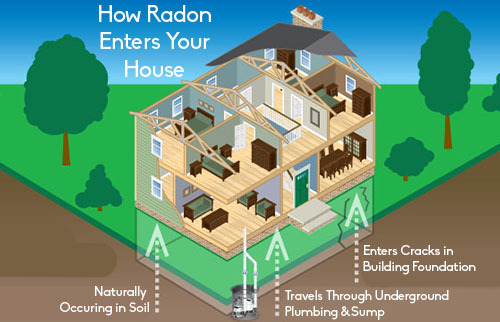 Though you cannot see, smell, or taste radon, the gas rises through the soil and seeps through cracks, holes, and drain pipes in the foundation or basements of buildings. Radon gas can be found all over the United States. At Wrubel Home Inspections, we use state-of-the-art electronic continuous monitors. These monitors take readings of the radon levels in the home every hour throughout the 48 hour test. Your results are IMMEDIATELY available at the conclusion of the test allowing you to make decisions if radon remediation is necessary. Wrubel Home Inspections is certified by the National Environmental Health Association (NEHA) to provide accurate radon measurements.